Anyone from any stream can apply for the MBA degree, first of all, you need to give CET for this, after passing CET exam you will have the rights to choose your college as per your marks rating, then if you choose our college as a JSPM Hadapsar campus, then you have to visit the college and then the faculty will help you for the rest of the procedure. 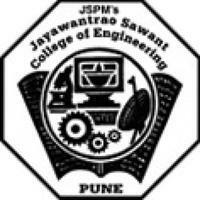 The eligibility criteria for getting admission in Jayawantrao Sawant College of Engineering is to clear the MH CET exam and passing the 12th. The cut-off for my course is very less. The admission procedure is quite simple. It's a very good college. Lots of facilities and good placements are given. The entrance is easy and the fee is not much high. I think you should visit it once. To get admission in this college students needs to write JEE MAIN and must have pass 12th boards with good marks. There is no cutoff. No criteria for admission procedure. No entrance examination for students. No cuttoff required. Admission will be done through DTE-CAP round. Cut off for Mechanical Engineering is 81%. Eligibility criteria were specified minimum marks for admission in CET entrance exam.